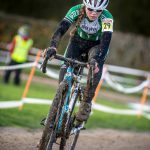 ‘Proper’ cross conditions thankfully returned for Round 3 of the National Trophy CX series, hosted by Crawley Wheelers at the South of England Showground. 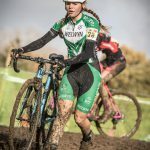 Plenty of rainfall prior to Sunday’s racing ensured that the ground was suitably soggy to create a muddy and slippy course which was difficult to ride, requiring good skills and judgement of whether to ride or run at key sections. 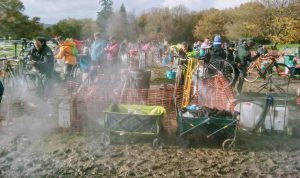 Spectators were entertained by interesting and absorbing racing, plenty of incidents, plenty of bike swaps in the pits and energetic jet washing by the pit crews in a ‘full-on’ bike-wash environment. The Junior Boys commenced proceedings. 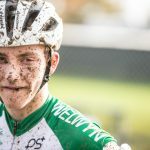 Many eyes were on Oli Stockwell who, having missed out on rounds 1 and 2 due to circumstances outside of his control, was looking to land a good National finish to catch the eye of the GB CX Team selectors. This he surely achieved after holding 2nd place mid-way through the race – a late mechanical reducing this to 5th, narrowly losing out in a photo finish with Dan Barnes. Archie Peet and Adam Lightfoot both rode excellent races to finish in the points with 17th and 19th. Joe Bennett finished 43rd with cut legs after several crashes. On the day of Armistice commemorations to mark the 100th anniversary of the end of the First World War, the organisers deftly brought the noise of the event and several jet washers to a respectful level of quiet in time to allow commentator Matt Payne to provide a fitting lead-up to 11am. The sound of a cannon was heard in the distance. Two minutes of complete silence was then observed followed by the Last Post. 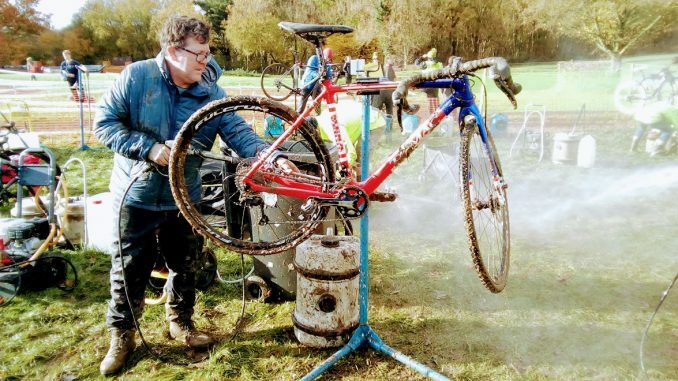 Standing in a muddy cyclo-cross jet-wash area splattered in mud (perhaps the closest most of us will thankfully ever come to Somme-like conditions) added a certain poignancy. Next up were the Youth girls. 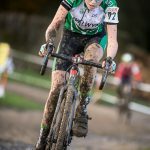 Millie Coleman again showed her prowess in the mud coming 5th in the U14 girls category with another strong ride. 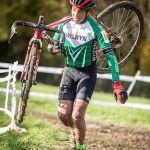 Ellen Bennett and Iona Moir finished 15th and 17th in the U16s. Top ride of the day was that of Joe Kiely third in the U16 boys race – he started the race as joint series leader and maintained his challenge by holding the lead after 2 laps. An unfortunate mechanical on lap 3 lost Joe well over a minute of time but there was still enough of a gap to make it onto the podium again. Euan Woodliffe also had a great day to finish in 7th place with Nathan Hardy 56th who also suffered an incident on lap 3. Mark Lightfoot took a well deserved 5th place in the U14 boys event of 70 riders, Calum Moir 33rd with Dylan Starkey 47th. All in all, a great event. This Saturday the Wheelers will be hosting Round 2 of the local Muddy Monsters event for novice riders at Gosling Sports Park. Racing starts at 10am. 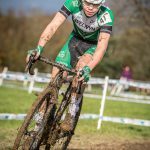 A large number of the club’s riders will be at the Central League race at Milton Keynes which incorporates the Wheelers Club Championship race.